Traumatic brain injury (TBI) evokes widespread/diffuse axonal injury (TAI) significantly contributing to its morbidity and mortality. While classic theories suggest that traumatically injured axons are mechanically torn at the moment of injury, studies in the last two decades have not supported this premise in the majority of injured axons. 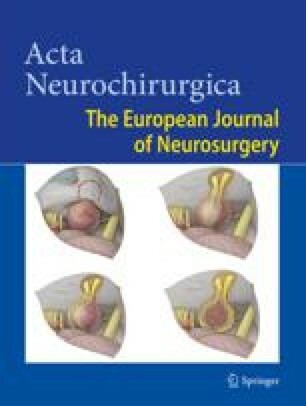 Rather, current thought considers TAI a progressive process evoked by the tensile forces of injury, gradually evolving from focal axonal alteration to ultimate disconnection. Recent observations have demonstrated that traumatically induced focal axolemmal permeability leads to local influx of Ca2+ with the subsequent activation of the cysteine proteases, calpain and caspase, that then play a pivotal role in the ensuing pathogenesis of TAI via proteolytic digestion of brain spectrin, a major constituent of the subaxolemmal cytoskeletal network, the “membrane skeleton”. In this pathological progression this local Ca2+ overloading with the activation of calpains also initiates mitochondrial injury that results in the release of cytochrome-c, with the activation of caspase. Both the activated calpain and caspases then participate in the degradation of the local axonal cytoskeleton causing local axonal failure and disconnection. In this review, we summarize contemporary thought on the pathogenesis of TAI, while discussing the potential diversity of pathological processes observed within various injured fiber types. The anterograde and retrograde consequences of TAI are also considered together with a discussion of various experimental therapeutic approaches capable of attenuating TAI. Keywords: Caspase; calpain; spectrin; traumatic axonal injury.